After having new subdivision construction in our direct area, our yard had become infested with weeds. Action Pest was diligent in getting our yard back on track! And their customer service leaves nothing to be desired. 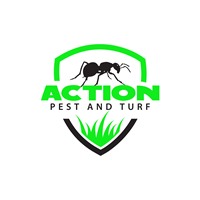 We highly recommend Action Pest & Turf for all of your lawn and pest care needs! Easy to work with and great service so far! On time, reliable, and professional pest control service. All at a great price!! My lawn has never looked better! Action is awesome! Fast, friendly and the most cost effective lawn service I could find! We even switched the entire neighborhood common areas to Action once I saw how great my lawn looked. Professional, courteous, and fairly priced. Our yard has never looked better. Great customer service at a great price. Awesome service. They listened to my problems and took care of it. They treat you like family, both the service and customer service departments, which is rare in this day and age. We got the service reminder well in advance of the expiry date, and were able to make an appointment that fit our schedule. The service tech was polite and thorough. We have had outstanding results. Smart applications that are tailored for results, not just selling me something my lawn doesn't need. They handle our termite contract and always remind us every year before it’s due. Always on time to appointments and always polite. No complaints. They also started mosquito service last year. We didn’t have mosquitos! They do all the work to keep us happy. Very thorough and excellent customer service. very good service and good prices. Sweet communication with a lovely staff. Service tech was courteous and accommodating. Treatment was thorough. Great job. Always on time and do the work as promised. I have already completed this survey once. Prompt and thorough. Very professional. Thank you. You're doing a great job. I am very satisfied with your inspections. Travis did a thorough job and is very friendly and represents your company well. very happy with the service we've received. Always get a phone call the day before to remind me of next service; service person comes out promptly; have seen a definite decrease in spiders.